Cindy Crawford seems to have defied the aging process for over 20 years—at 50, her skin still looks astonishingly youthful and radiant. Her secret is French anti-aging specialist Dr. Jean-Louis Sebagh and his revolutionary approach to skin care. 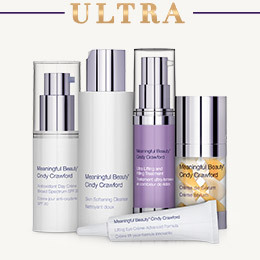 Over 10 years ago, Cindy and Dr. Sebagh began collaborating to bring his amazing youth-enhancing formulas to women everywhere in the form of Meaningful Beauty®. Since that initial launch, women have been raving about the way this remarkable skin care system has helped their skin look younger than they ever thought possible. And now, we've done it again, with a revolutionary anti-aging ingredient that comes from the extract of a rare orchid from the Emerald Coast in France. These rare and beautiful orchids thrive in the harshest conditions, often living for more than 100 years. Through the extraction process, scientists have isolated these longevity molecules and created a powerful extract. It's designed to deliver energy to aging skin cells, promote the natural production of healthy collagen and elastin, giving you visibly firmer, smoother, younger-looking skin. The Youth Messenger extract is exclusive to Meaningful Beauty. Trained at the University of Paris, Dr. Jean-Louis Sebagh is an internationally-acclaimed skin specialist. Celebrities, models and socialites flock to his exclusive offices in London and Paris, paying thousands of dollars for a series of treatments containing Dr. Sebagh's amazing melon extract. 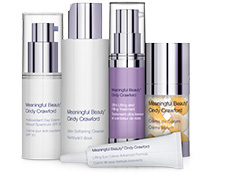 With the latest breakthrough products in the Meaningful Beauty® line, Dr. Sebagh has reengineered his highly coveted formulas to address some of the most challenging skin care issues that women everywhere face–even Cindy Crawford. "My goal in this collaboration is to raise the benchmark of the quality of affordable skin care products, so we really bring the best ingredients and try to increase the concentration of ingredients. My job is to really bring this quality into it," says Dr. Sebagh. 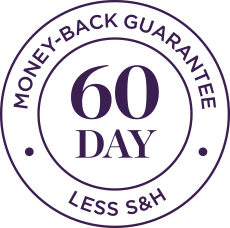 I think you'll love Meaningful Beauty® as much as I do, but if for any reason you're not completely satisfied, just return the containers within 60 days of receipt, and you'll get a full refund of the purchase price (minus shipping and handling), even if the bottles are empty.